A young boy experiences the tug-of-war between the heady excitement and level-headed clarity which comes with the quest for knowledge. NOTE: I decided to re-post this story from a couple of years back as I’ve been thinking about it lately, and added an ‘Addendum’. Icker was in third grade. That would’ve made him either seven or eight, depending on which month of the year this happened. Probably eight because it seems like winter. No snow yet, but bare trees except for the tall pines. Warm slanting light. It was early afternoon; lunch had passed. The teacher announced she wanted to give the whole classroom a little puzzle. Attentiveness restored, Icker began the process of turning his glance away from the sweet little log cottage nestled on a tiny rise amidst some trees exactly outside the window. It was his frequent contemplation point. He liked the oversized dark logs forming the outer walls, especially the knots, bumps and irregularities. Also the thick grayish-white cement between them. And the two small windows so different from any other windows he knew about. It gave off such a feeling of warmness and peace and farming and no highways or airplanes or even cars. Icker wished sometimes to go back in time and live there for a day, and see how things were maybe only a few years after the Indians had all left and gone west. Lenapi, the scientists called them. Icker didn’t know this at the time, but the little cabin had been left undisturbed by the township mostly because it lived on an isolated little orphaned land parcel within the school grounds. It dated to the 18th century, and was unoccupied. Within two decades a local historic preservation society would lose it’s battle to save the cabin and it would be replaced by a brick rectangular block of senior citizen apartments, to stir the imaginations of young admirers no more. Watching the preparations unfold, Icker could tell the teacher, a middle-aged lay woman, not a nun, actually wanted to buy some private time for awhile, maybe to do teacher-style paperwork. That was the real motivation behind the puzzle assignment, some time-consuming busy work. But Icker didn’t care; he liked puzzles and knew that several of his fellow students would be treating this as a race and he was going to be all in. The competitive and dutiful kids were already getting their papers and pencils ready, clearing desk space. Many others didn’t have this mindset; some were curious, some didn’t care, some simply followed directives. Icker glanced around the room for a long moment. At a relaxed pace most were commencing to write down the numbers, taking the stated task at face value. But a few were exerting effort more purposefully, proceeding with speed. Icker saw he would be losing valuable ground to these few if he paused too long to analyze the merits of various pathways, were it to become a footrace. Maybe he could catch up with sheer calculating prowess if need be — muscular arithmetic — but going that fast would increase the chances of making a slight error somewhere along the way. Then there would come the decision: enough time to retrace the steps and verify all the work? Icker watched one kid, Eugene, scurrying to write a long column of numbers down the page, his tongue pushing slightly out in the corner of his mouth between pursed lips. Clearly intent upon doing the column-wise arithmetic in the standard way and ‘carrying the tens’ over to the next column. That was one way. Maybe some, maybe Kathleen, would just try doing a hundred separate additions as swiftly as possible, writing the current tally beside their place in the sequence until the end. Icker sometimes worked this way. But a little less than ten seconds into the race Icker intuited that there must be a radical shortcut, involving multiplication, and it was just a matter of formulating the right and true recipe describing this shortcut, thinking it and seeing it. But this very clear intuition was a risky thing, for by trusting it Icker would be committed. He had written nothing to paper yet, the only one in the classroom. He firmly decided not to add, but to think. Time changed. Intuition was a strange and miraculous kind of thing. It didn’t work the way many others thought, even the adults, he fancied. There were two parts. First you had to have the counter-intuitive impulse. It was like the willingness to be open to a questioning mood exactly when questions seemed least appropriate. A quick little spiritual itchiness. Then like grace a certainty came, from nowhere, from somewhere else, but not inside you. An answer to the opening. It was Icker’s favorite kind of thought. At once upon relaxing focus from the competition mentality, Icker flashed that there were 100 different numbers in total. It thought in him. He could almost watch it. Each number from the beginning of the ordered sequence could be added to a number from the end of the list to give exactly the same result: 100. Now, a flush of excitement! For example 1 paired with 99; 2 paired with 98, and so on. 1+99=100. 2+98=100. 3+97=100. Certainly it went on thusly until the end, until the numbers met in the middle, each time producing another hundred. And only a hundred. It was so beautiful! It was only necessary to add up all these produced hundreds — and 100 was an amazingly easy number to sum. Without seeing why, how, or what, Icker had leapt or fallen from his perch overlooking the lovely forest, a perch from where all could be seen if calmness prevailed, and he was now combating hand-to-hand amidst the individual trees. 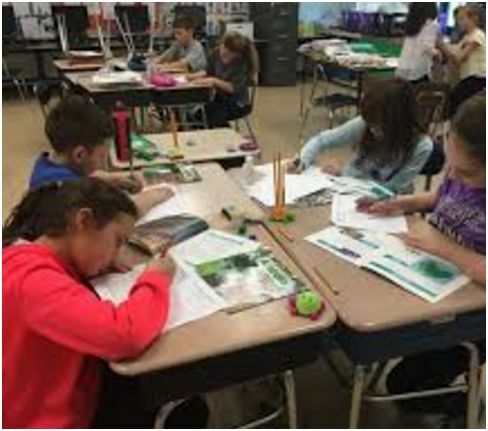 At most 30 seconds into the class assignment Icker had grasped the basic outline of the answer, but by now the faster of the other pupils were probably already at the point where they added up the first ten numbers. There was a tension spreading inside him, from body to head. Wanting to get to the answer was stealing some of his concentration. Sometimes this happened. Sensing, or imagining, or smelling the contagious panic, the thrill of pursuit, pervading the classroom air — it became harder to brush aside the feelings so that true seeing could happen, could resume. Quick. Finish. Clutch the answer! In the flow time was spacious, unnoticed, infinite, something to enjoy and luxuriate within; but now it was just a number getting smaller, time running out. How many such hundred-sums were there? The question asserted itself happily within the anxiety. Knowing there were a hundred total numbers, and that each summed pair accounted for two of these hundred separate numbers, Icker truthsaw: there had to be fifty pairs of numbers. Exactly fifty. Yes, no possibility of error there. So, fifty pairs of numbers, each summing up to exactly 100… the answer bolted before his inner vision: 50×100=5000. 5000! This had to be the final tally one got by adding up all of the numbers from 1 to 100 the long way. Icker paused for maybe three more splurging seconds, allowing a last glance about the room, taking in his busily adding classmates. Pencils moving, a soft background music was created. No one would be anywhere near the finish line yet, nowhere even close. No flaw in the logic announced itself to him during this brief scan, and so, unrestrained, Icker’s hand shot skyward like a missile launch, his face no longer able to conceal the excitement. It took the teacher a little while to glance up from her work and notice his raised arm. During this hiatus a few nearby competitors registered that Icker believed himself finished with the task and gaped in disbelief. Many likely just thought it magic, brain magic, that Icker could have solved the problem this soon. Some thought about it from the computational angle, projecting their own method outwards, and wondered whether Icker was nuts or somehow could speed add many times faster than they could. If so, surely there would be a mistake. Whispers began. About a year later Icker would read in a book how the famous German mathematician Gauss had solved this very problem when aged 7 (so he had Icker beat by at least six months, maybe a whole year) when a schoolmaster posed it to his class under much the same circumstances. 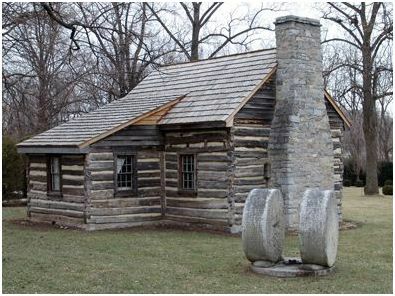 It would have been the late 1700s, about the time when the log cabin cottage was new and thriving with horses, chimney smoke, and maybe children. 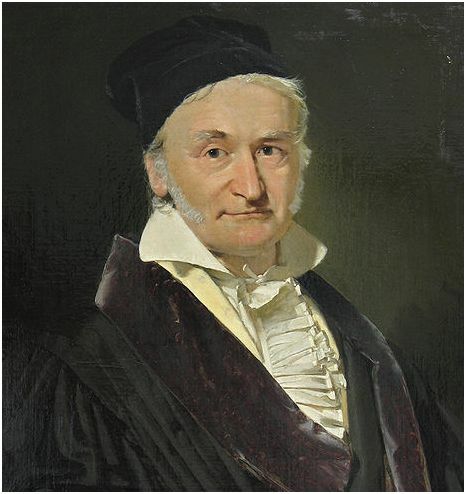 Gauss produced the solution very quickly, astonishing the master who at first thought it not possible and had to check the reasoning, for in the moment he himself did not know the answer. Thinking back, Icker realized that his teacher must not have been unfamiliar with this anecdote. Though she still expected that none would arrive at the answer without taking the long route, and she’d have a long interlude of peace and quiet to get some of her work done. She knew what the correct answer was and Icker’s solution was close enough to intrigue her and to prompt a class discussion. Gauss was a child prodigy. He went on to produce and innovate within various areas of mathematics and some related disciplines like astronomy, mechanics, and optics. He was thorough and meticulous, having a reputation to be slow to publish results until he felt certain his work was complete, significant, and flawless. When he was seven, Gauss got the answer right. But Icker’s answer was not right. Not exactly. Icker had always found it more difficult to speak things than to know them. Some of the clarity of insight he’d felt so recently in his private sanctum eluded him while trying to present explanations. He sensed the not yet admiring scrutiny from his classmates as his voice was sounding, and the encouraging approval from his teacher. Pressing on, he repeated what he’d realized, how the numbers could be paired from the beginning going forward and the end going backwards. He knew many were not understanding. He aimed his explaining more at the teacher, who understood partly and interceded. Something was puzzling her though; she was splitting her attention between speaking to the class and trying to see something. “Your idea is correct, Icker. This is the right shortcut for the problem.” A mood of amazement expanding in the room. “But the answer, the correct answer, is 5050.” Now, excitement and curiosity. Many could see that Icker hadn’t simply guessed. He came up with something amazing on the spot, a method, but somewhere along the way he made a tiny mistake. 5050. The number stuck in the air somehow, like an odor, and for a second Icker had difficulty believing it. For one thing it seemed less beautiful than 5000. 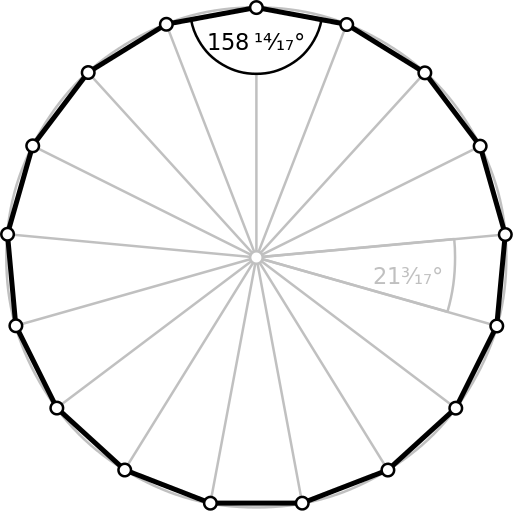 Taking your eye off the math truth for the beauty! Seduced. It intuited in him. He believed now; it was a matter of seeing how the error was allowed. Between Icker and his teacher, they were able to figure out the discrepancy after a minute or so. Icker’s recipe, combining 1 with 99, and then 2 with 98, and 3 with 97 and so on… had left out the fact that the original assignment was to sum all the numbers from 1 through 100, not 1 through 99. So, Icker’s total would be missing the ‘100’. But that wasn’t the only thing. When there are only 99 numbers, an odd number, to be paired together then one number would have to be left over in the exact middle. That number was 50. Icker cringed internally while grasping this. It meant Icker’s formula would only really produce 49 pairs of numbers which each summed up to 100. 49×100=4900. And then you would have to add back in the missing ’50’ and the missing ‘100’; 4900+50+100=5050. It looked so much less elegant now than he’d originally conceived it. Or, to come closer in spirit to Icker’s original idea, you would need to take 1 and 100 as the first pair. Then 2 and 99, 3 and 98, 4 and 97 and so on. Which meant that each pair of numbers would actually sum to 101! Then, employing all one hundred of the numbers, there would be fifty pairs. So 50×101=5050. No way around it, the answer was 5050. Icker settled back into a mood of reassurance with this path of reasoning and seeing. The truth was more complicated than he’d wished for it to be. It was his wishing that pulled his seeing down from the treetops into the thick forest. Buddha equated desire with suffering; desire was the root cause of suffering. There was a lot to this, a lot more than typically understood. Not just too many candy bars making your teeth get cavities. Not even just too much obsession with money and getting ahead ruining your enjoyment of life and capacity to socialize and encounter other people in a human way. There was beyond all this a kind of patience within thinking, and it involved a healthy freedom from desiring this or that specific thought. The thought would know you desired it, and subtly make itself more prominent within your mental theater, at the expense of other thoughts. And in this case the suffering was a more spiritual thing. It showed up as error, as being barred from the possibly of seeing and knowing what actually is. To do math right, beautifully, you had to be egoless. Your wanting had to become uninteresting to you. All things had to be equally visible. But math was not so different from other things in this way. It was just purer, it exposed the truth more plainly. Icker returned his gaze to the old warm cabin. There was a security in knowing a thing through and through, by dint of one’s own exertions. It was as if standing quietly in the presence of something not usually observed, something good, true, and beautiful. And something equal also. Not dissimilar from one’s own rightful spirit. Icker felt no longer concerned about his classmates praising, or condemning, or indifference; his certainty returned. Humility deepens cognition. Note: Some further ideas concerning Gauss’ and Icker’s 1-100 summation problem, as well as a bit more about intuition, can be explored here. my, you are the gifted writer. I am awed at your ability to keep my ADD mind reading without pausing. The prose flows beautifully. for their young minds to flourish. May busy parents know that their babes require quiet time to contemplate solutions to the world’s problems. A delightful comment, Steph. Aside from the compliments, I mean, which are also wonderful. I thank you. You are right about the children. Even the non-prodigy types. I mean, I suppose, that there are numerous sorts of prodigyship we do a lousy job of recognizing these days. Children are gifts which teach us that all things are possible. We need to fight to protect their giftlike beings to unfold, without our neuroses hemming them in all the time. Thanks again! thanks a lot Mitch. 🙂 How’d your film work out? Were you happy with it? My newest feature, Notzilla? Well, I think. We’re working on a distribution deal now. A great story, RS. Wonderfully written.